-h, --help Print the usage. -H, --height <integer> Specifies the height in pixels for the image. -c, --centerBase <integer> Specifies the base pair value to center on. -i, --inputFile <file> The input file to parse. -l, --layout <layout> The layout of the input, 'circular' or 'linear'. -o, --outputFile <file> The image file to create. 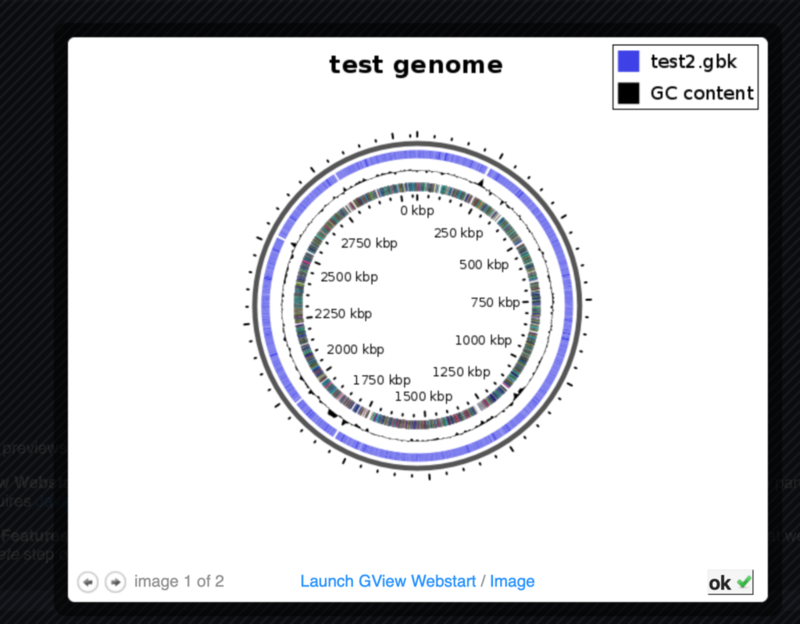 -v, --viewer Loads up the input file in the genome viewer. -s, --style <file> The file to read the style information from. -b, --birdsEyeView Displays a birds eye view of the map. This is ignored if -v is not used. -g, --gffFile <file> Specifies a .gff file with additional annotations to include. Can be used multiple times for multiple files. -W, --width <integer> Specifies the width in pixels for the image. 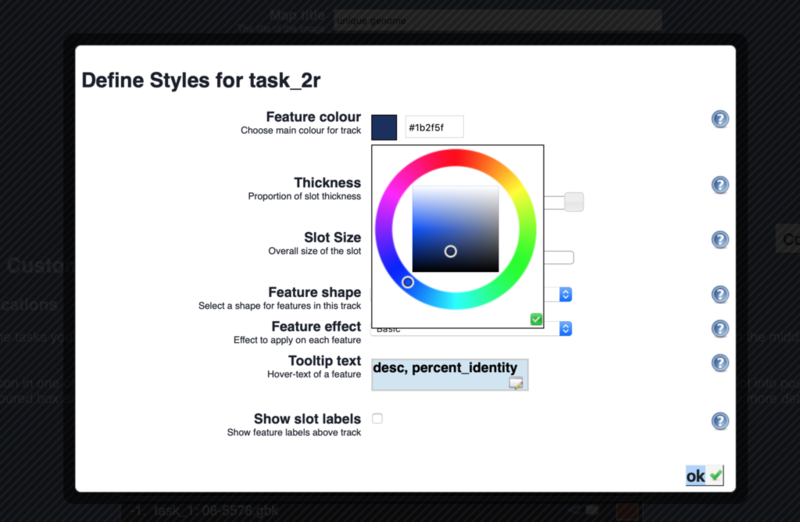 -z, --zoomAmount <real> The factor to zoom in by. -t, --threads <integer> The number of threads to use. The default is the maximum threads the JVM can acquire. -q, --quality <quality> The initial rendering quality of the display, 'low' or 'high'. The default quality is high. 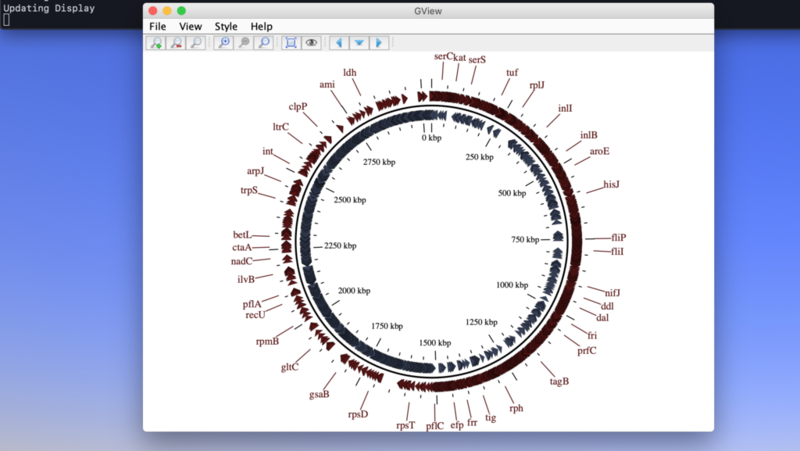 Display genome features Upload a rich sequence file (GenBank or EMBL) to display features in an interactive GView map. BLAST atlas Create a BLAST atlas by uploading a reference genome and one or more related genomes. 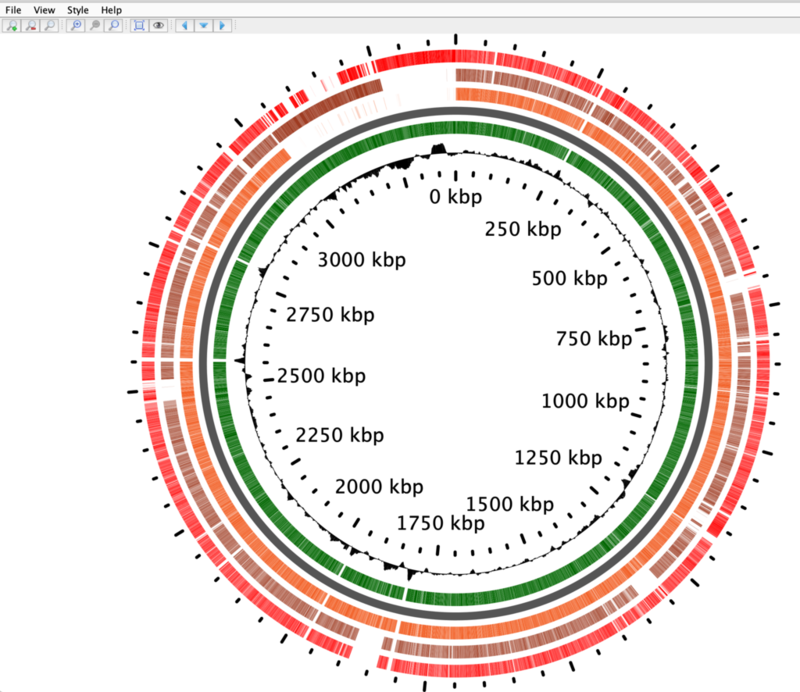 Regions will be displayed where there is similarity between the reference genome and one of the related genomes. 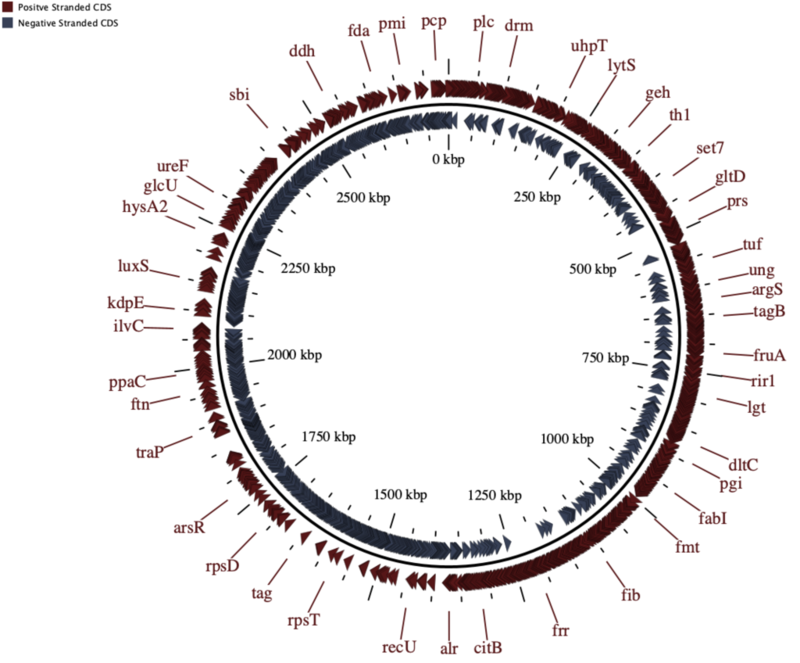 Core genomes View the core regions of a genome by uploading a reference genome and a query file containing multiple related genomes. This will highlight the regions in the reference genome that also exist in all of the query genomes. 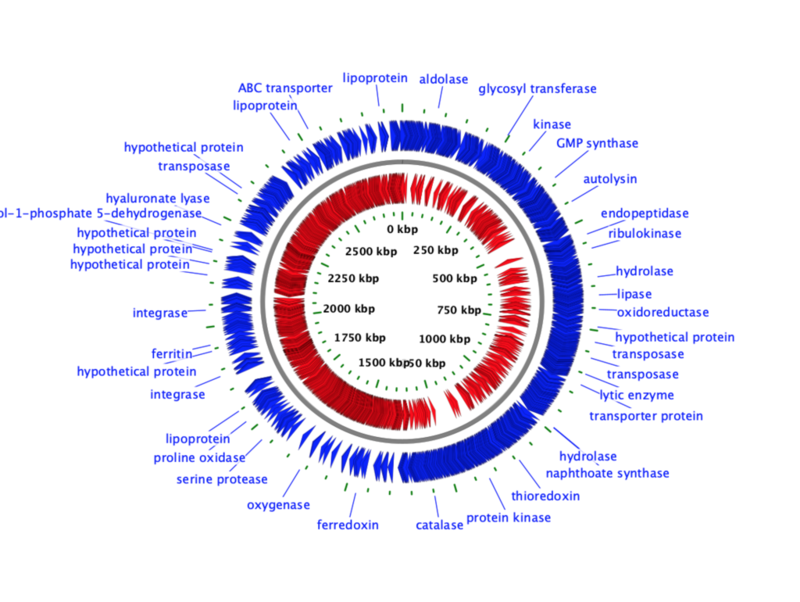 Accesory genome View the accessory regions of a genome by uploading a reference genome and a query file containing multiple related genomes. The resulting regions displayed will be those that had BLAST hits to some sequences in the query file, but not to every sequence in the query file. Unique genome View the unique regions of a genome by uploading a reference genome and a query file containing multiple related genomes. The resulting regions displayed will be those that had no BLAST hits to any sequence in the query file. Signature genome Find the signature regions of a genome by uploading a reference genome and a set of inclusion and exclusion genomes. 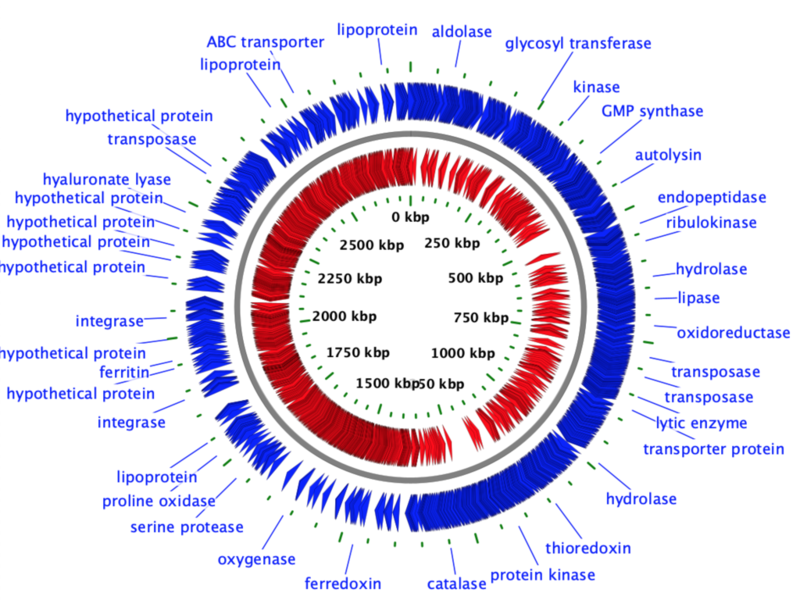 The inclusion genomes should be very similar to the reference genome. The exclusion genomes should be similar to the reference genome, but lacking signature characteristics. 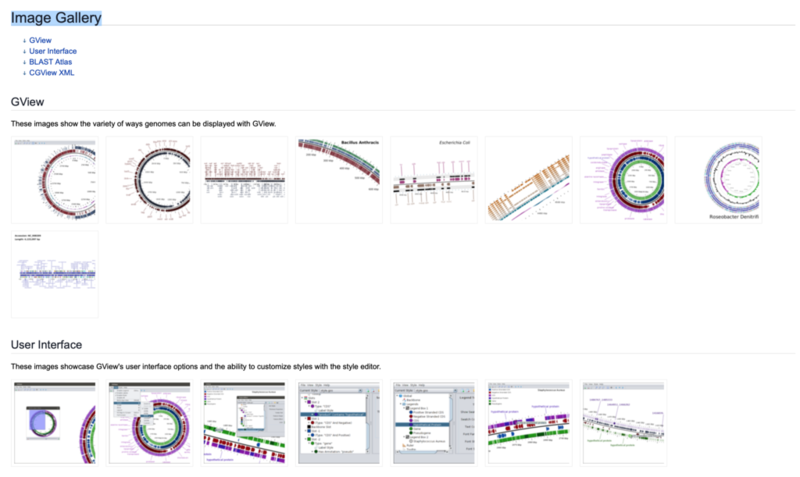 The resulting regions displayed will be those that are found in the inclusion genomes but not in the exclusion genomes. Pangenome analysis Create a pangenome by uploading a collection of similar query genomes. A seed genome is selected and other query genomes are compared to the seed to locate the unique regions. 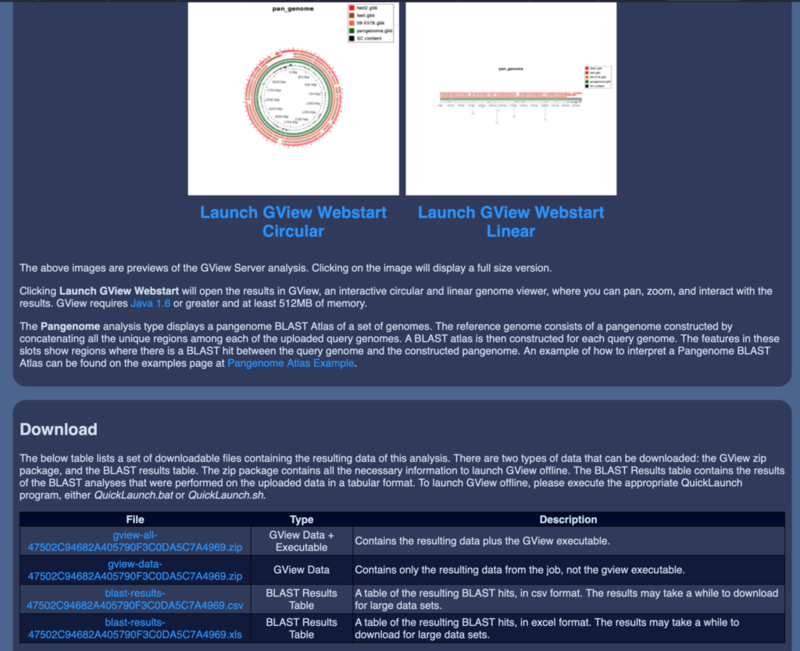 Reciprocal blast Upload a reference sequence file and a query sequence file to perform a reciprocal BLAST and display features in an interactive GView map. 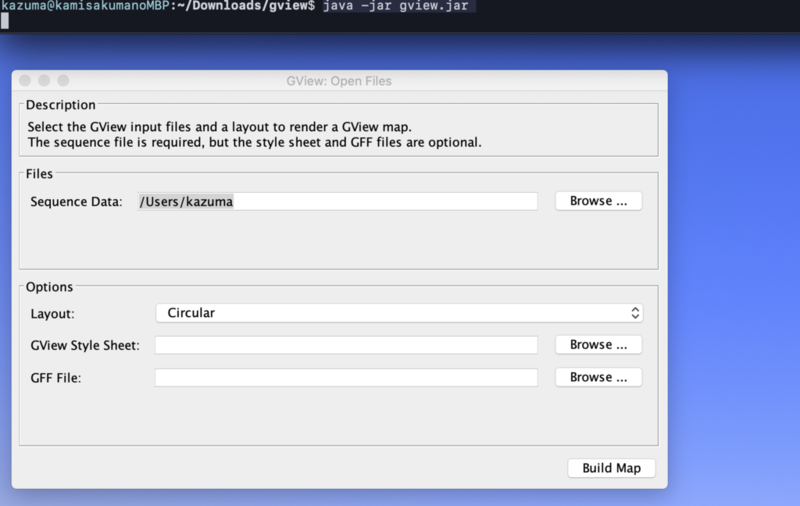 Custom analysis Create a fully customized GView analysis.